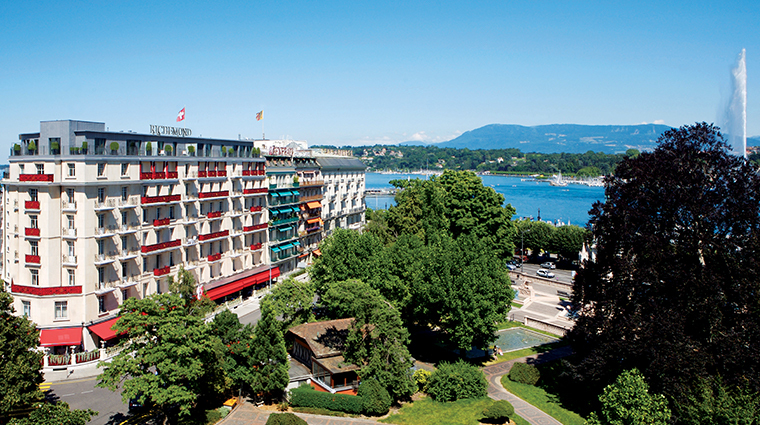 Since its opening in 1875, Le Richemond Genève has been part of Geneva’s internationally acclaimed hotels. 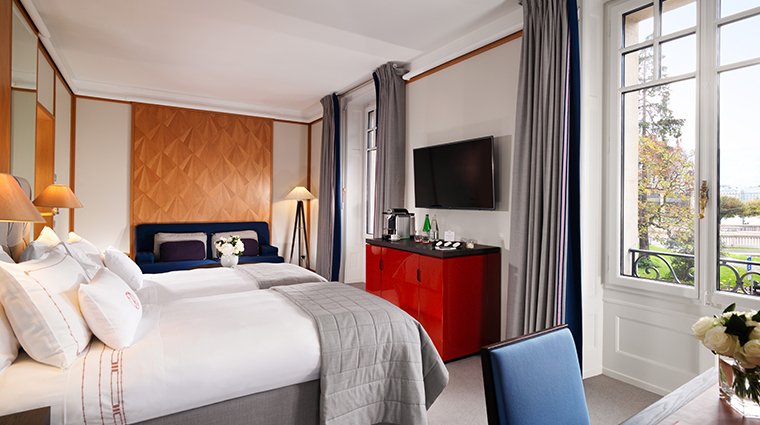 The spacious rooms, the food and beverage options and the sophisticated Spa by Sisley all attract a large number of guests seeking great service and first-class venues. 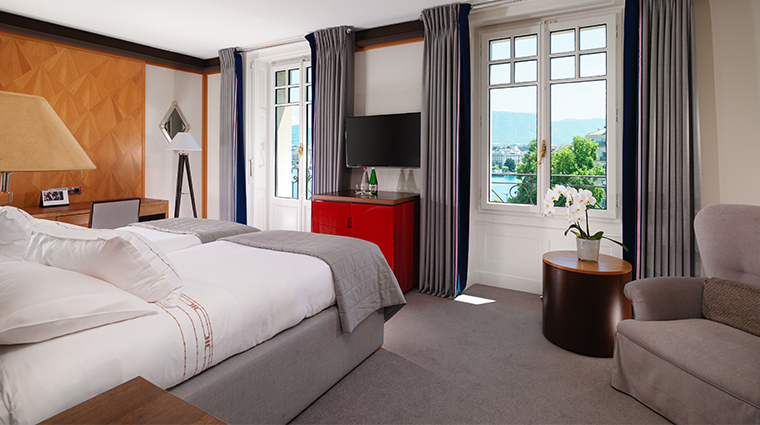 Set in the heart of the city on the banks of Lake Geneva by the iconic Jet d’Eau fountain, the grand old hotel also has a splendid view of the old city and Brunswick Gardens. 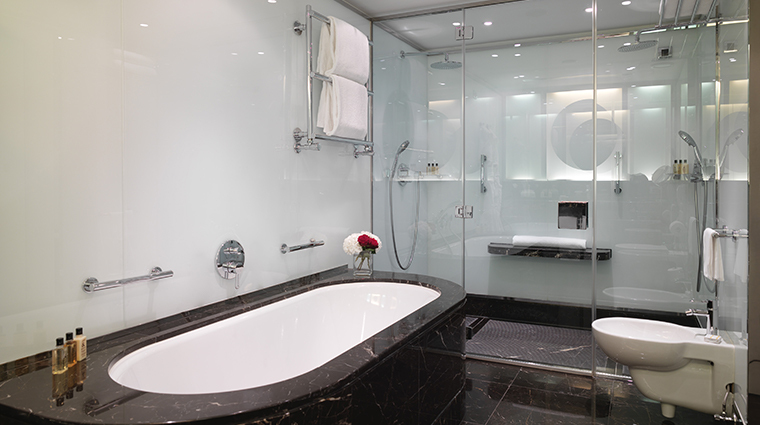 The hotel is ideal for both a leisure or business stay. 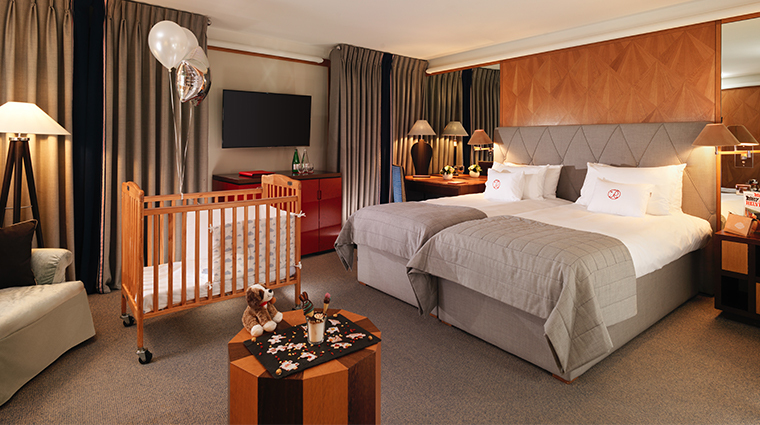 And while Le Richemond has recently refreshed its lobby, it retains its vintage allure with design details like walls of lacquered exotic woods and intricate marquetry in furniture pieces. The treatments at Le Spa by Sisley, of course, by Sisley, a luxury French skincare brand that uses aromatic plant extracts and essential oils. 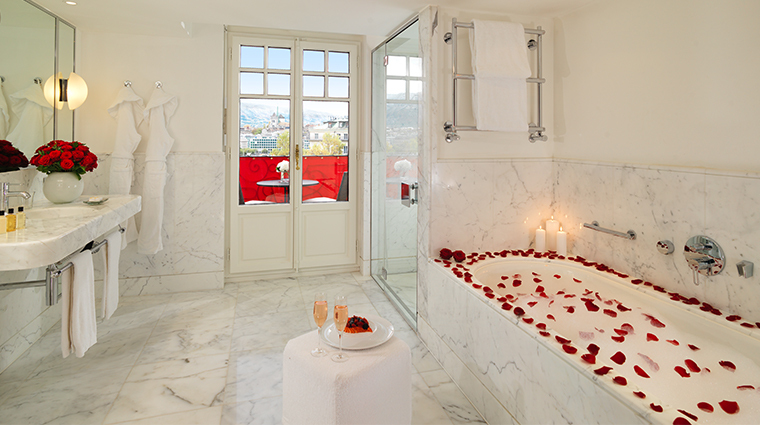 Expect loads of indulgent options, from effective anti-aging facials to indulgent massages. 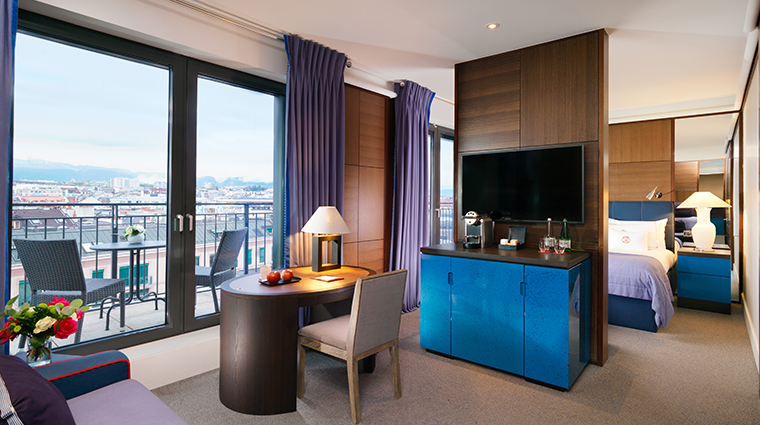 Le Richemond Genève occupies a prime locale in the heart of the Geneva business district, overlooking the River Rhone and the picturesque Brunswick Gardens. From organizing chauffeured transfers to booking events and guided visits to historic Geneva, the luxury hotel’s concierge team are here to make your stay as comfortable and enjoyable as possible. 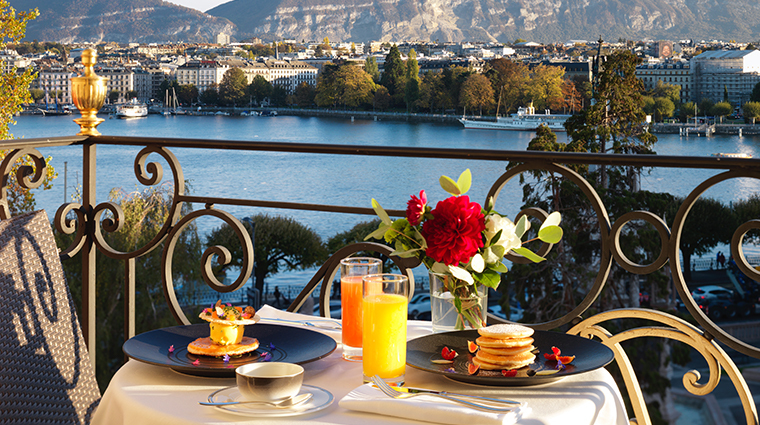 Le Jardin at Le Richemond Genève offers a fine dining destination renowned by locals and international visitors alike, offering stylish, light and fresh French cuisine featuring the best of Switzerland’s bounty. 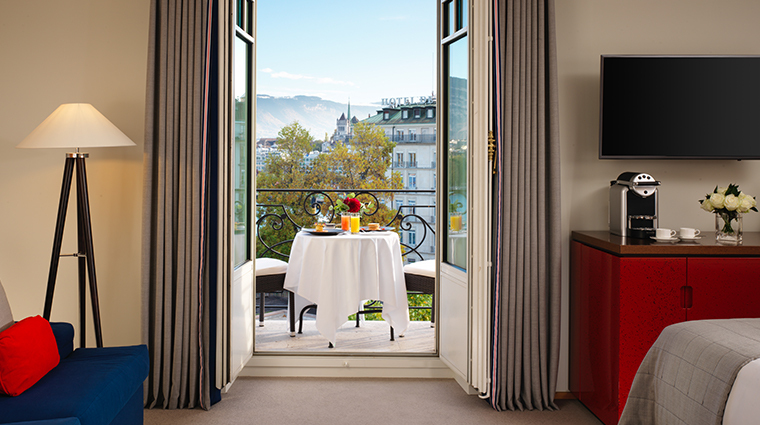 Request a lake-view room—they all come with balconies offering panoramic landscapes, the perfect setting for breakfast over gorgeous vistas and Geneva’s morning sun. 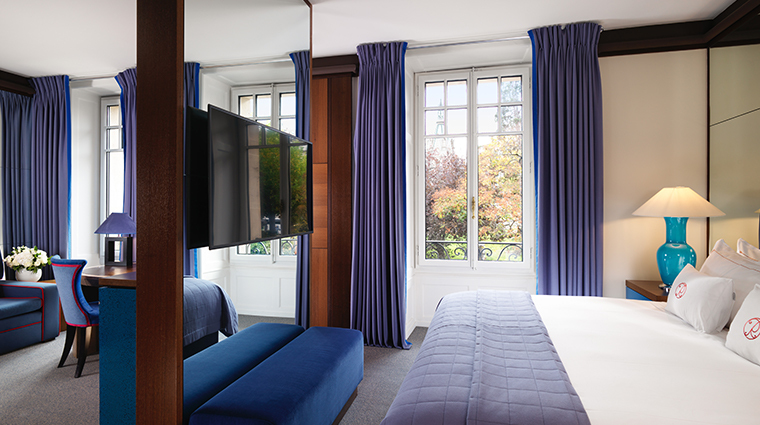 Le Spa by Sisley has five traditional treatment rooms (including one couples room), along with a Thai massage room, unique in Geneva. For fitness-minded guests, a visit to the gym (located next to the spa on the lower level) will be in order. Use the Technogym equipment or book a personal trainer for a personalized exercise session. 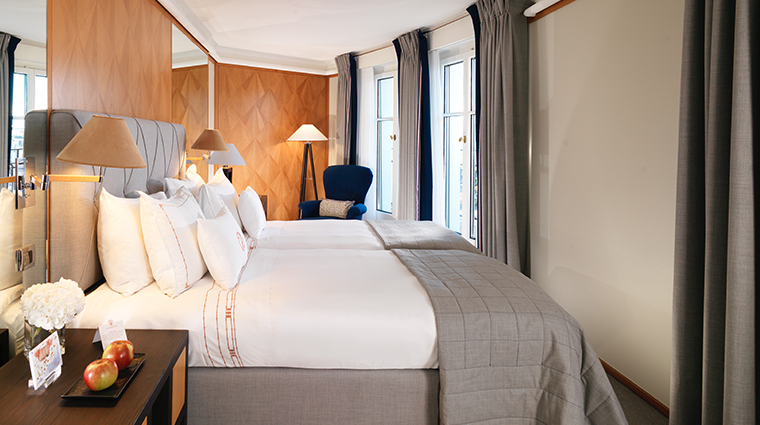 Overall, rooms have a contemporary feel with modern furniture but are anchored to history with Art Deco touches and antiques. 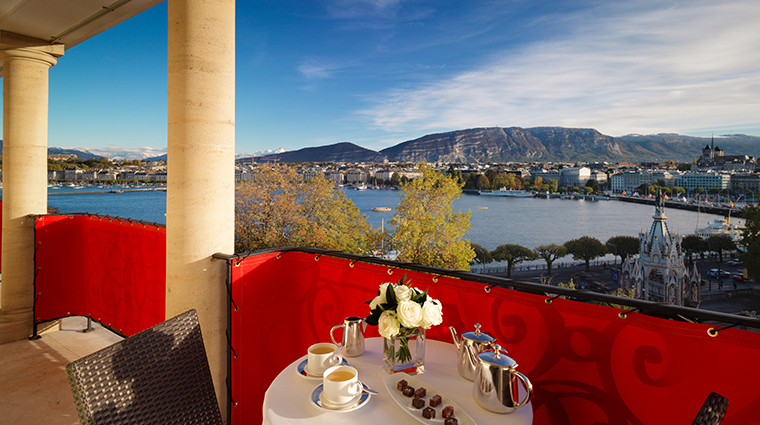 The Geneva hotel has 109 rooms, including 22 signatures suites with a lake or courtyard view. 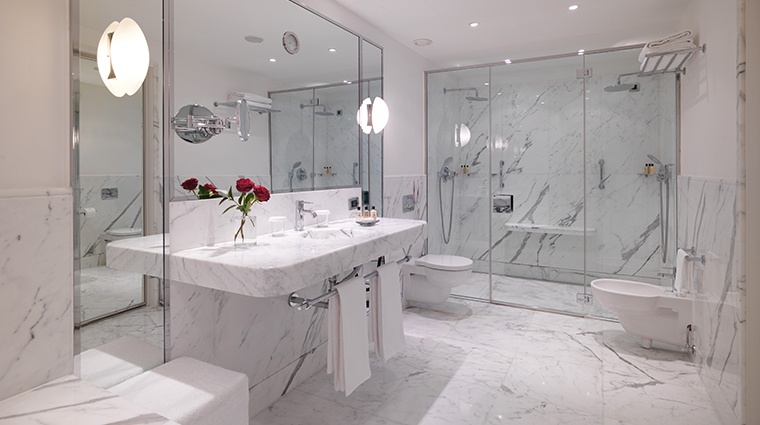 With 11 different room categories, there are surely options to meet your needs. 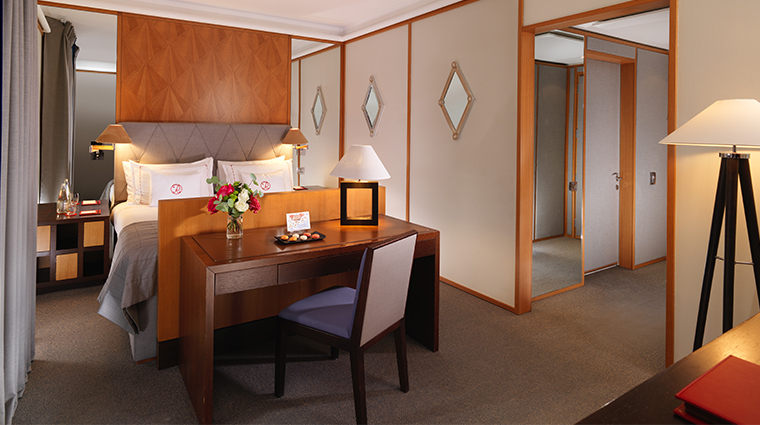 Basic Superior Rooms come with a city view, a reading area and L’Occitane bath amenities. 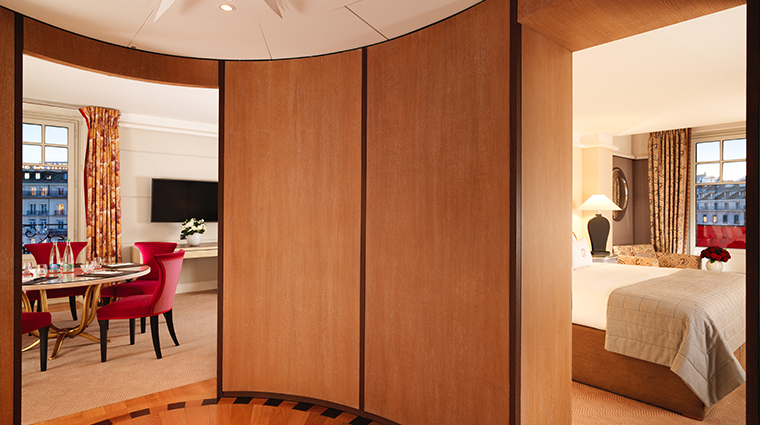 The Royal Armleder Suite (named after the founders of the luxury hotel) is the most luxurious accommodations Le Richemond has to offer. 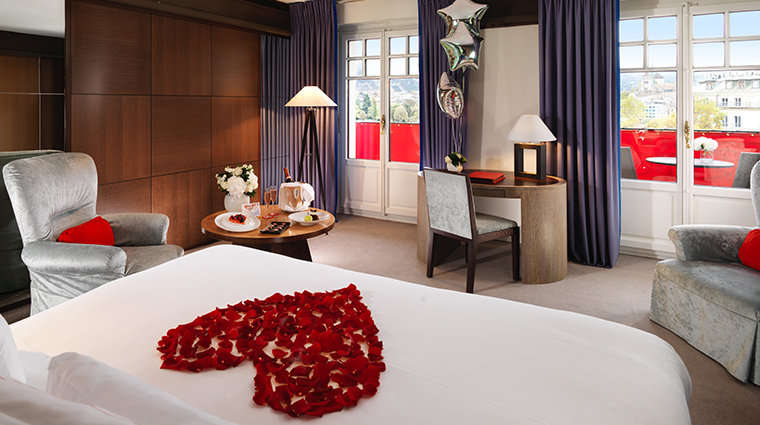 With a 360-degree view of the lake, the old town and Mont Blanc, this unique suite makes for an unforgettable experience. Le Jardin is one of the top tables in Geneva, where locals often go for lunch or dinner. Its culinary reputation is due to chef Philippe Bourrel’s simple and modern French cuisine, which spotlights fresh, seasonal ingredients that mainly come from Switzerland. Locally sourced delicacies, like Swiss filet of beef, Froya fjords scallops and chestnut gnocchi grace the à la carte menu, while a four-course prix fixe option evolves seasonally. The chef also offers a three-course market menu that changes weekly. At Le Bar, choose from a menu of light meals, snacks and bar bites with your cocktails in the Art Deco-inspired space, which looks out over Brunswick Gardens. Stop by the stylish lounge in the afternoon between 2 and 6 p.m. to savor a selection of four confections from the hotel's renowned pastry chef Sébastien Quazzola.